To succeed brands must reflect a deep and highly nuanced understanding of their cultural environment. Their value to customers can be directly correlated with their effectiveness in translating and transmitting salient and motivating meaning. By acting as an effective conduit for such meaning, brands can achieve market distinctiveness, develop valuable consumer brand equity and ultimately acquire sustainable competitive advantage. 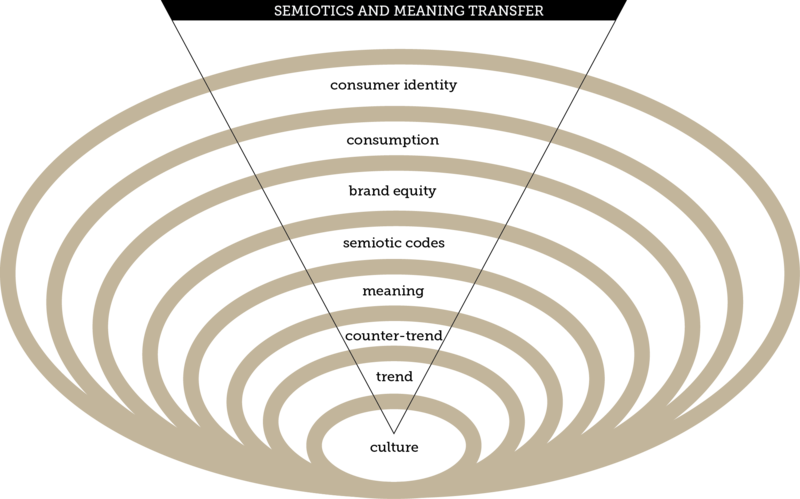 Our approach to semiotic analysis starts with the building of a meaning transfer map from the ground up, analysing the emergent, dominant and residual codes present within our target cultural groups. We then look across the relevant categories to review how brands have positioned themselves as meaning conduits and the cues and codes that have developed as consumers have re-worked these brand meanings into their own worlds to provide a sense of individuality.